Tell us a bit about Hart + Barnes and what we can expect to discover? 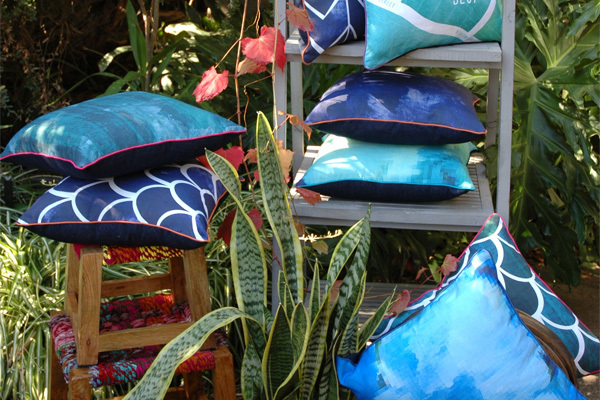 Hart + Barnes is a Melbourne based homewares company. 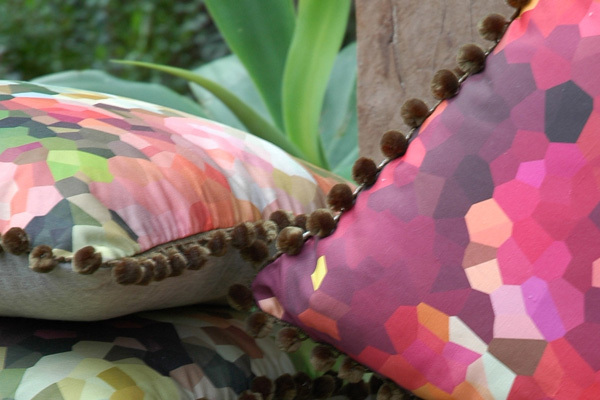 We specialise in cushions or ‘couch candy’ as we like to call them! 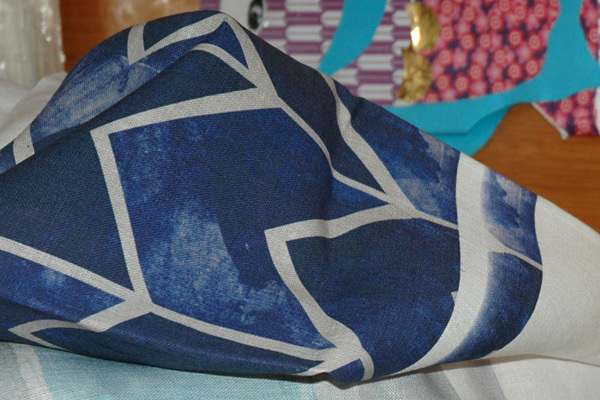 Our range is all designed by Naomi and we print on 100% linen or linen/cotton. 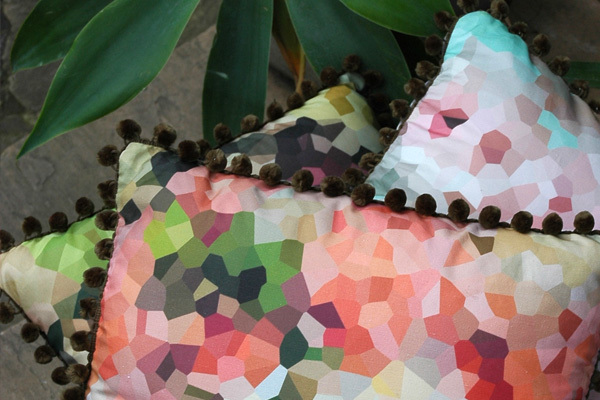 Some of our designs include the vibrant Melbourne map series (both in cushions and prints), neutral washes and striking pixelated florals. We (Naomi and Shannon) have been friends since we were 15 and we have a shared passion for design and interiors. After many thousands of cups of tea discussing all things design, we decided to combine our 20 years of professional experience into a business we could share and love. Naomi is an RMIT Graphic Design graduate, and has worked in design agencies in both Melbourne and the UK. More recently she has been a busy freelancer adding interior fit-outs to her already extensive experience. Shannon holds a BA in Public Relations and has over 10 years experience in PR consultancies in Melbourne and the UK. In the financial services industry for the last 10 years, Shannon has held management roles in sales/marketing and product management. Many things are inspirational to us – nature, art, our families! Mainly we are inspired by fashion – what is happening on the runway and seeing those trends translate into the high street. We aim to do the same – our designs are very fashion focused and we combine that with natural fabrics like linen and hemp to give an organic quality to the finished piece. Our motivation comes from design blogs and magazines – anything that keeps us in-tune with this vibrant industry. We both work from home so have to share our designated work spaces with children (3 each) and husbands! Naomi has waited many years to have an outlet for all of the design ideas that have been bubbling away – now that we have a business together, Naomi can bring those ideas to life. The biggest challenge Shannon has is managing just how many designs she can market and sell! What do you love about working with digital printing? And what are some of the challenges? The thing we love about digital printing is there are no limitations. The colours pop off the fabric and the level of detail digital printing produces is amazing. It allows us to really push the envelope in terms of design and colour. What can we expect to see from Hart + Barnes at the upcoming Melbourne Markets? We are really excited to be participating at Finders Keepers for the first time. We have attended many FK’s (and spent plenty!!) over the years so we are just so pleased to have our own designated space to introduce you all to Hart + Barnes. 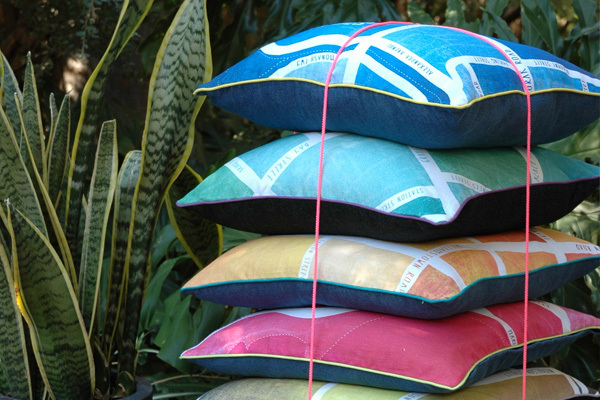 Along with our cushion candy and our gorgeous A3 and A4 Melbourne map prints, we will be bringing some new products to FK. We will have a Melbourne map 2014 calendar, tea towels and H+B Christmas cards. We have also developed bunting kits – one from our H+B fabric designs and two Christmas designs. We hope you all love them and we look forward to seeing you at Finders Keepers next month. Oh my. 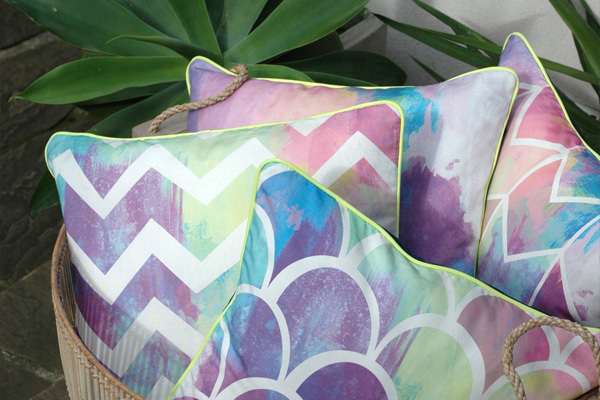 These cushions are just my cup of tea! I love all the colour & the pom poms!